Home » Farm » What does the farm produce? Each year we carefully select a few of our home reared stock for consumption. Each animal is looked after with dignity and respect and fed an organic diet where possible. All animals are treated with natural remedies to maintain vitality and well being. 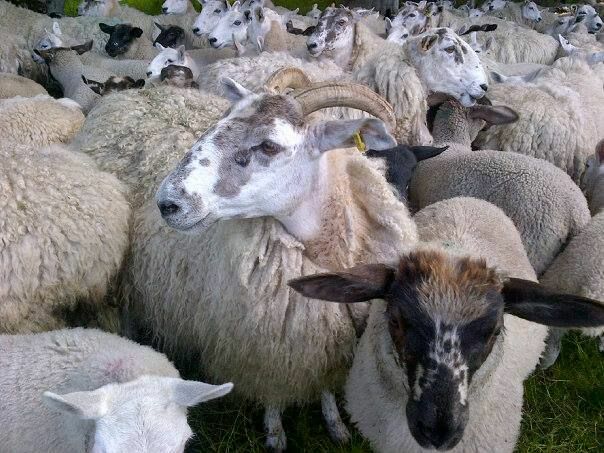 We keep a 300 head flock of sheep which contains Highland Mules (Blackface x Blue Face Leicester), Scottish Blackface and North Country Cheviots. These animals are bred either for home fattening by crossing with a suffolk tup or for store lambs by crossing with a cheviot tup. 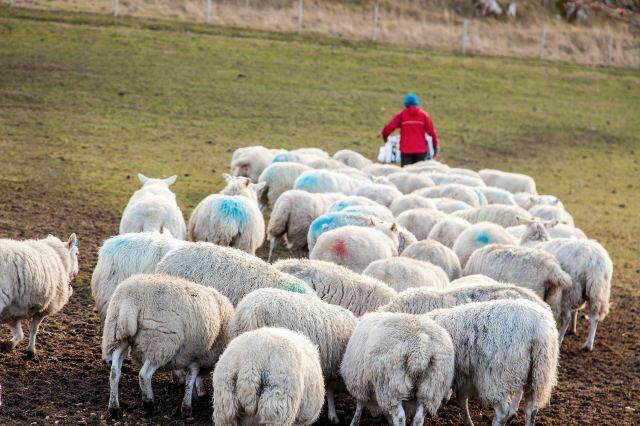 They produce an excellent tasting lamb and are grazed extensively on natural pasture and heather moorland. The cattle are Highlanders and Aberdeen Angus currently in with an Aberdeen Angus Bull bred by Hamish Polson of Strathpeffer. This year we bred Aberdeen Angus x Highlander calves which we will sell as Store Cattle at Dingwall Auction Mart and keep back some to fatten and mature for meat. At Christmas we keep a small flock of bronze and white turkeys which are reared free range and sold to local customers. We have our own butchery and larder to increase the volume and quality of products on the farm and Lucy is a registered poultry slaughterwoman.